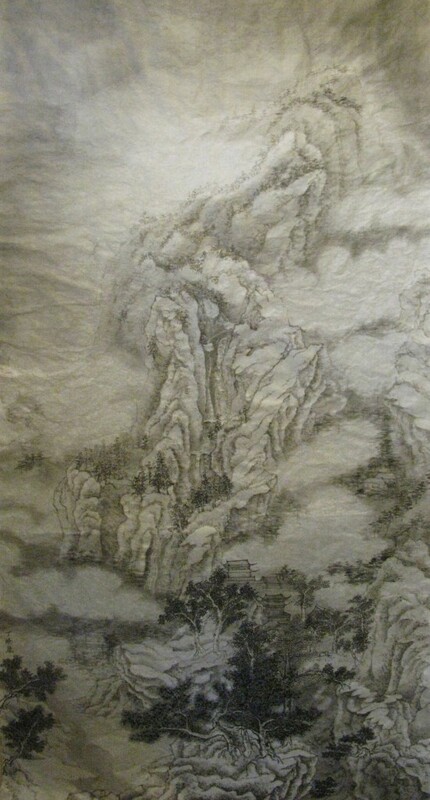 A shan shui painting of a mountain range. It is based on my impression on Huangshan in China after I visited it last autumn. The mountain range is very deep and far reaching. Part of the mountain range is submerge in the cloud. On the mountain it is full of trees and a few buildings scattered on the mountain. Human being become almost invisible and insignificant in this monumental nature.